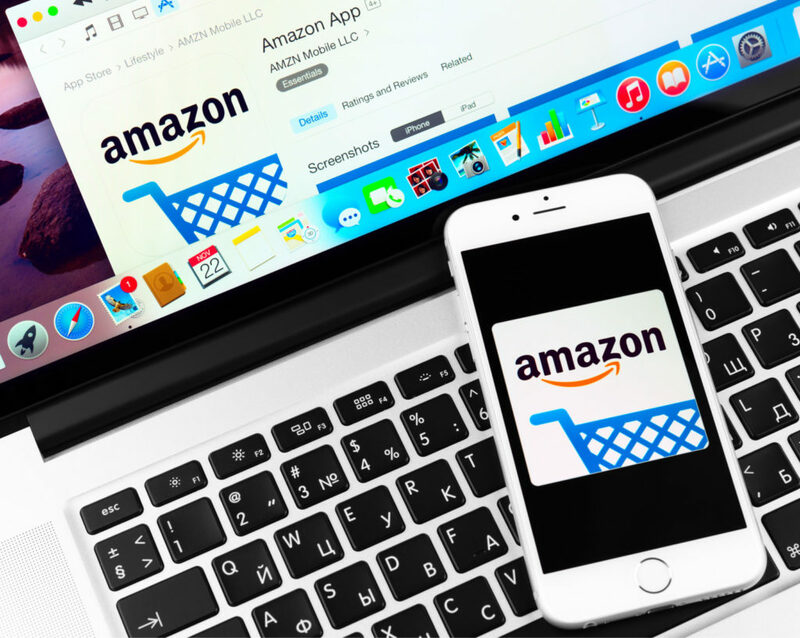 Amazon is an online retail giant, making it convenient for online shopping. With millions of products available, third-party sellers are responsible for some of them. When you buy from a seller they must handle the customer service regarding your order instead of Amazon. If you want to discuss a product listing or your order, you need to contact the seller directly. It is fairly straightforward to do so when you visit the Amazon website and log into your account. Each Amazon seller will have an online “storefront” where you can view all the products that they list for sale. If you are looking at a particular product listing, check in the description or above the green “in stock” notification on the right. Unless Amazon sells the product directly, it will tell you who the seller is. This will either say “dispatched and sold by Seller’s Name” or “sold by Seller’s Name and fulfilled by Amazon” otherwise. If Amazon fulfils the product they will dispatch it from their warehouse and it should be eligible for Prime delivery. Click on the Seller’s Name and this link will take you to their storefront. It will show you their review ratings from other customers and the seller’s delivery and returns policies. If you still have questions about a product, follow these steps and contact the seller. 1) Click on the yellow “Ask a question” button in the top right corner. 2) Select the reason you want to contact them, either an order or an item for sale. 4) Click on the yellow “Write message” button. 5) Enter your message into the box and press the yellow “Send e-mail” button. 6) The seller will receive your message through Amazon and should reply within 2 business days. Sometimes more than one seller will provide a particular product. In this case, the product listing will show “New” and “Used” options available, for example a secondhand book. Click on either of these depending on whether you want a brand new product or secondhand. It will take you to a page with a list of buying choices, which includes condition and delivery costs. Choose the seller you would rather buy from, then click on their name to go to their storefront. Follow the same steps as above. You can message multiple sellers about the same product if you like. The process is different if you need to contact a seller about an order you already placed with them. You will need to click on “Your Account” in the top right corner of the Amazon website. Click on the box that says “Your Orders” to view them. You might have to enter your password again to access your order history. You can filter your orders by how recent they are, or click on the “Open Orders” to view any orders you are still waiting to receive. If you ordered within the last 30 minutes, there should be a “Cancel items” button and a “View or edit order” button. When these buttons are not there, it is too late for you to cancel or change your order. However, there should still be a yellow “Contact Seller” button. This will take you to the same window as above, where you select the reason you want to contact them. You could select “cancel order” or “change delivery address” amongst other options from the list. If you have already received your order, you can contact the seller for further assistance if you need it. There should now be a yellow “Problem with order” button. Press this then choose the relevant description of what went wrong with the order. Examples include “package didn’t arrive” or “missing items or parts” for this. Then you can choose to contact the seller or request a return. Alternatively, there will be a “Return or Replace Items” button in the order summary. Click on it and then choose the product you have the problem with if there are multiple products in the order. Select the reason you are returning the item from the drop-down list. It may require you to provide further details by entering them in the text box before you can click “Continue” to proceed. When you finalize it by clicking “Submit return request” the seller will review it within 48 hours. They will explain how to return the item and get a refund or offer to send a replacement. This depends on the seller’s policies, which you should check before buying. Should you ever have a problem with a seller which they won’t resolve, you can get help from Amazon. To contact Amazon, take this shortcut to the contact form. You will need to log in to access this form. Find the specific order that you need help with in the first section. In the second section of the form, choose the problem you have from the drop-down menu. This could be “payment issues” or “where’s my stuff?” or checking the status of a return and refund. Depending on your selection, there may be a further list of reasons you need to specify from. Amazon will offer relevant information under “Did You Know?” on things you can do yourself. Otherwise, in the third section, it will give you the available options for contacting Amazon. This could be e-mail, a phone call, or live chat. Press the button for the option you would rather use. You will go through to a message form, a callback arrangement form, or launch the live chat in a new window where you will have to enter your password again. Report the problem you are having with this seller to Amazon. Include the relevant details like your order number and the name of the product.